A consortium of universities and colleges across the South West has won £5.5million in government funding to inspire young people from disadvantaged backgrounds into higher education. Institutions across Devon, Cornwall and Somerset – led by the University of Plymouth – have been awarded two years’ funding in the first phase of the National Collaborative Outreach Programme (NCOP), being launched by the Higher Education Funding Council for England (HEFCE) in January 2017. 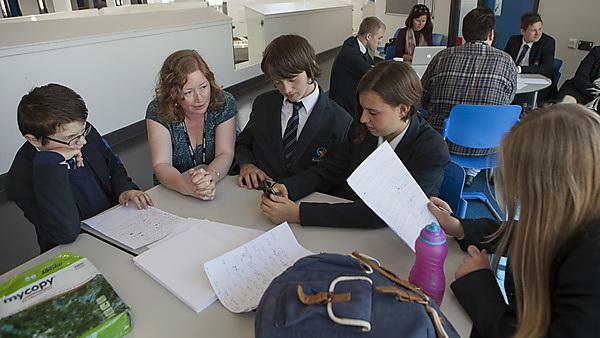 To meet those goals, the consortium – under the name of Next Steps South West – will focus on Year 9 to 13 students in wards and schools identified as having presently low HE representation, using targeted interventions in an attempt to raise aspirations, achievement and awareness of HE. Somerset – Strode College, Bridgwater & Taunton College. It will draw on the experience and expertise of existing consortia, such as the Devon Collaborative Outreach Network and Next Steps Cornwall, but also establish fresh approaches to outreach activities that foster new relationships with target schools at a local level. This could include mentoring schemes, summer schools and parents events, but also see young people being invited to take part in events at universities and colleges with HE lecturers and students visiting local schools in return. Funding from the NCOP programme was approved by the HEFCE Board following a competitive process for local consortia involving higher education providers, schools, colleges and other organisations such as charities and local agencies involved in education, careers and skills. A total of 260 higher education providers in England are involved, and the planned collaborations will ensure all 997 of the local wards identified in HEFCE’s gaps analysis will be covered.